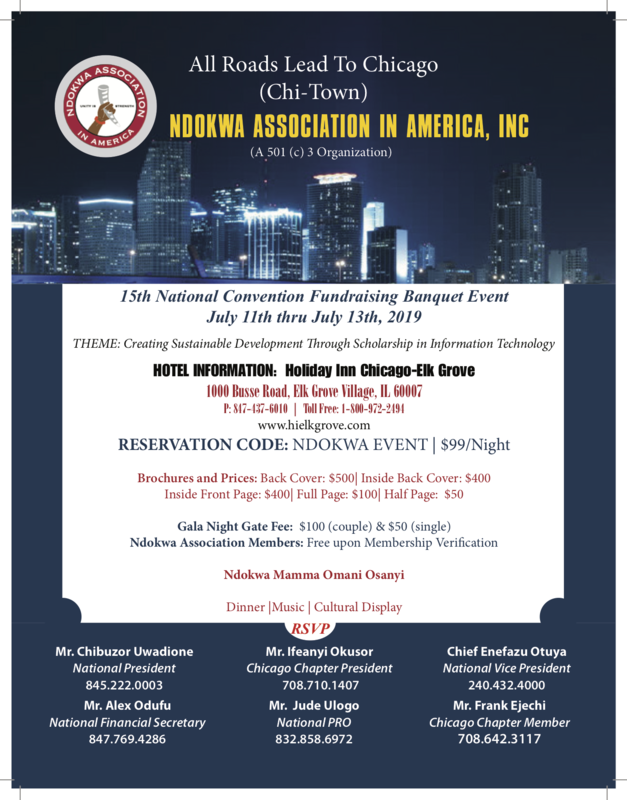 Ndokwa Association in America is a non-profit, 501 (c) 3 charitable civic organization created by, and for the sons, daughters, and spouses of the Ukwuani and the Ndosumili areas of Delta State, Nigeria, living in the United States of America. We promote equity and access for all Ndokwa people in social, economic and cultural activities by providing enabling infrastructures in impoverished parts of Ndokwaland. Simply put, the love of our Ndokwa land, our patriotic duties to our adopted country (United States of America), our home country, Nigeria, the recognition of the plight of our brethren in Ndokwa land, and our desire to fulfill the tenets of responsible citizenship, are what motivates us to do what we do. We are determined to contribute to the establishment and the maintenance of the good reputation of all Ndokwa sons and daughters, wherever we are in the United States of America. The Minnesota Chapter, which serves the entire state.